I have just come back from one week of African holidays with my Uncle Tom and Aunty Betty, visiting me from Singapore. 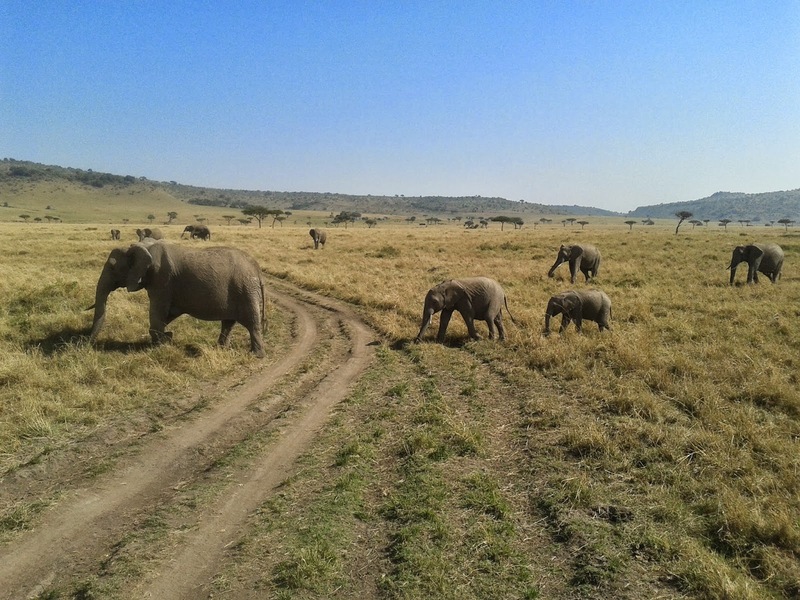 We went for three days of safari in the Masai Mara, staying in a tented camp just outside the parc with outstanding overhead views of the park savanna. The food served was very well prepared with hot soup every evening when the temperatures went down. Hyenas and other wildlife provided background noise at night. Although our guide and driver was surprised by the difficulty of stalking the big cats in this part of the park, I was extremely content. 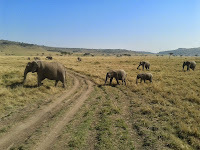 Wherever we went, we could spot numerous elephants all the time. I just could not tire myself of observing these majestic and ever-active animals. After a short rest in Nairobi the three of us flew to Zambia to see the Victoria Falls. The waterfall was very impressive, particularly so on the Zimbabwean side. There was little water on the Zambian side of the falls due to the dry season. I particularly enjoyed our river sunset safari on small motor boats taking us into the small channels of the Zambezi river to observe numerous birds, the wary hippos submerging as soon as they would see the boat and more unconcerned elephants crossing the river, bathing or grazing in front of us. As they introduced the open bar on the boat, the boatmen and rangers told us: 'the more you drink, the more game you will see...' They served us some delicious snacks on a small river island after having checked that no big animals were hiding in the bushes. PS: So it was with great sadness that I came back from all this natural beauty and peace to a Nairobi under shock from the still ongoing terrorist attack in one of the major malls of the city.